The messaging apps like Snapchat and WhatsApp are helping us a lot to connect with our friends and family. Most of the times, we usually find ourselves chatting and interacting with our friends over social media through these messaging apps. This trend of messaging influences us to usually spend more time on these platforms. From making vacation plans to completing college assignments, the social messaging apps are the only savior to get the things done in no time. 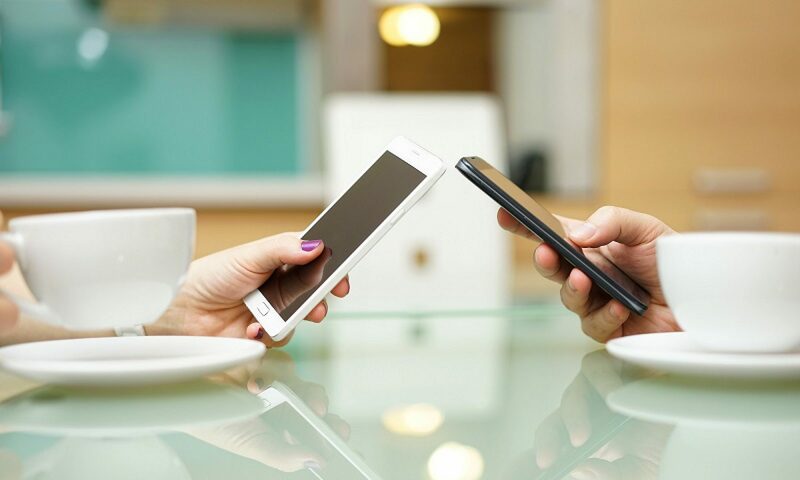 The conversations can really be considered as a crucial element of our life that powers interaction and connectivity without any limitations of locations. According to facts from research conducted on mobile phone users, there are more than 5 Billion monthly active users exist in Mobile Messaging Platforms like- Whatsapp, Facebook Messenger etc. These stats are powering mobile messaging apps to bring in new features every day to make conversations more interactive. There are lots of apps available on Google Play Store to keep you connected with the friends but these hand-picked popular messaging apps for android offer various interactive features like- Emojis, Video Calling, GiFs etc. It will surely offer you enriching experience to connect with your friends. The Snapchat is a popular messaging app that is famous with the tagline “the fastest way to share moments”. This is quite an intuitive app that lets you share snaps with your friends that disappears automatically after a certain period of time. This app lets you share photos and videos with your friends connected over snapchat. The most unique feature of this app is interactive filters and snapchat lenses that allow users to change the face and add voices. This app is available for free to download from Google Play Store. The Signal app is a most preferred messaging app when it comes to doing conversations over a safe and encrypted channel. This app lets you chat, send images and videos etc. It also allows you to safely send attachments to your contacts. In terms of giving full trust and security to users on its platform, the app never saves your chat history or conversations. You can also send self-disappearing messages to your contacts. The Google Allo is the official messaging apps from Google that lets you connect with your friends through chats and video calls. This app boasts the interactive user interface that makes the app quite accessible and easy for the users. The most interesting feature of this app is that it lets you chat with the google’s voice assistant to give you instant replies. This app works on both desktop and mobile version. This app is available for free on Google Play Store. The Telegram is quite different from other apps as it not only lets you chat with your friends and contacts but it also lets you share the files securely without any limitations on file size. This app is also secure as it adds encryption layer to your chats and files to keep your conversation safe over the application. This messaging app also supports a wide variety of emojis and stickers similar to other instant messaging platforms like-WhatsApp. This app is available for free on Google Play Store. The WhatsApp is one of the widely used messaging apps for android. Still, if you don’t know about this app, it lets you chat with your friends and also allows you to do voice and video calls on the go. One of the most interesting features of this app is “Stories” which lets you share pictures and short videos that remain on the platform for 24 hours. This feature has become quite an important part of the social networking ecosystem that makes it more interesting and interactive. The Messenger is official application launched by Facebook to keep chats and video calls away from its social networking platform. This app lets you connect with contacts who are already on your Facebook. This messaging app for Android lets you do video chats and voice calls for free. This is one of the must-have messenger apps for Android users to chat with friends connected over Facebook. Looking for an upgrade? The best we will suggest you to buy new OnePlus6T and don’t forget to sell old OnePlus at best price. Next PostNext Which Smartphones are used by Indian Cricketers?